Mr. Renaud Jean-Baptiste Sr., was born on June 15, 1941 in Pilate, Haiti, to Palis Jean-Baptiste and Cleante Joachin. He was one of six children. Renaud had an independent spirit with a fun-loving nature. In 1979, he relocated to Cambridge, MA, where he married his wife, Edithe Louis. Shortly after, he welcomed his first born son, Renaud Jr., in the fall of 1981, his second son, Edwine in the fall of 1986 and his first daughter, Suzanne Dorka in the spring of 1988. Renaud had a vision and started his own business called Naudy Inc., which was a record shop and beauty supply store in Cambridge and he eventually moved the family and business to Orlando, FL in 1995. 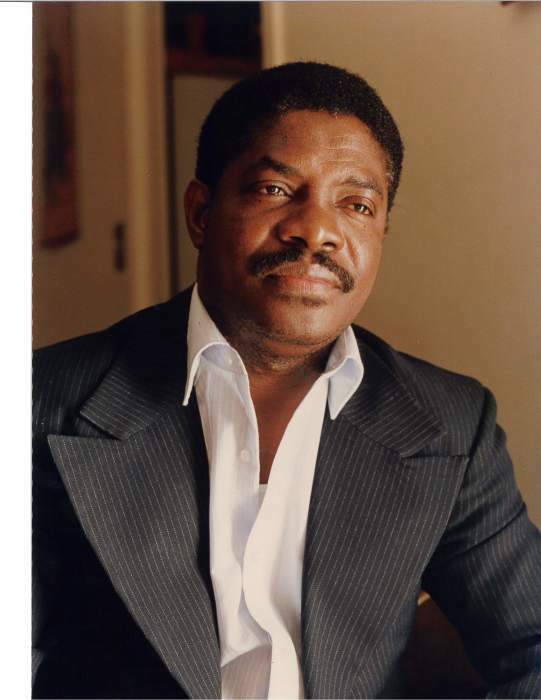 His beauty supply and record shop served not only as a place of business, but also a location for Haitians in the local Haitian community to socialize, discuss culture and current events of their home country. He enjoyed watching soccer, debating about culture along with social and political issues in the Haitian community. Renaud traveled home to Haiti as much as he could throughout the years as part owner of a reception hall in the city of Bassin Bleu. He will be remembered by everyone who loved him for his sociable personality and effortless smile. Renaud was a lover of music, concerts and ‘Bal’ (Haitian dance parties). He showered his home with music and a model of entrepreneurship which helped shape his children’s lives. We remember him for his independent nature, as a strong-willed business owner and a passionate debater. Renaud taught his children to live honorably by their own rules, take care of each other to no end and always keep a song in your heart. His close cousin: Ernst Jean-Baptiste and the Jean-Baptiste family along with countless friends and families including Beauplan, Georges, Garcon, Louis, and Joseph families.